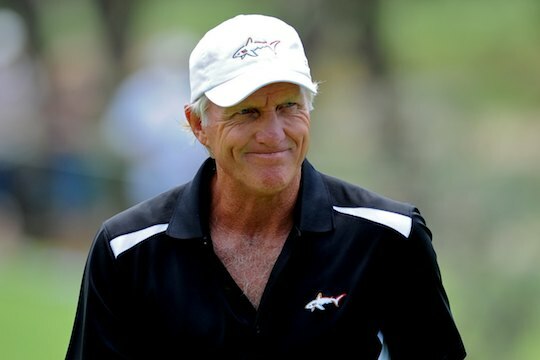 Greg Norman’s golf courses are sought all around the world, but there is no doubt the former world number one’s designs are even more popular in his home country of Australia. Courses such as Brookwater, The Vintage, The Grand, The Glades, The National, Pelican Waters and Stonecutters Ridge are among those most highly rated by Australian golfers. Now the two-time British Open champion has signed up to add two more layouts to his burgeoning resume – and both of them will be in Sydney. The Great White Shark will design two courses at a master-planned housing estate in south-west Sydney under the umbrella of residential property developer Sekisui House Australia. The company has signed a ‘Memorandum of Understanding’ with Norman for the design and construction of the two courses at The Hermitage in Gledswood Hills, south west Sydney. Sekisui House and club operator, Wests Campbelltown will use Greg Norman Golf Course Design to redevelop their existing 18-hole Camden Lakeside Golf Course from concept to construction. They will also use his talents to add an additional brand new nine-hole course within a 300-hectare residential estate. Norman said the project offered a compelling design opportunity as his design principle had always centred on enhancing the natural surroundings of a site. Sekisui House has sold more than 600 properties since launching The Hermitage master-planned community in 2012. In just over three years, The Hermitage has become one of south western Sydney’s leading and most recognised master planned communities with long-range plans to house about 6000 residents.